Frequency of Grit Related Activities - Good Parent Inc. In the Learning Habit Study, we examined the frequency of Grit related traits and how parents may or may not facilitate them. In the first graph, we see a steady frequency around 37% where parents go to school to retrieve a forgotten item for their child. 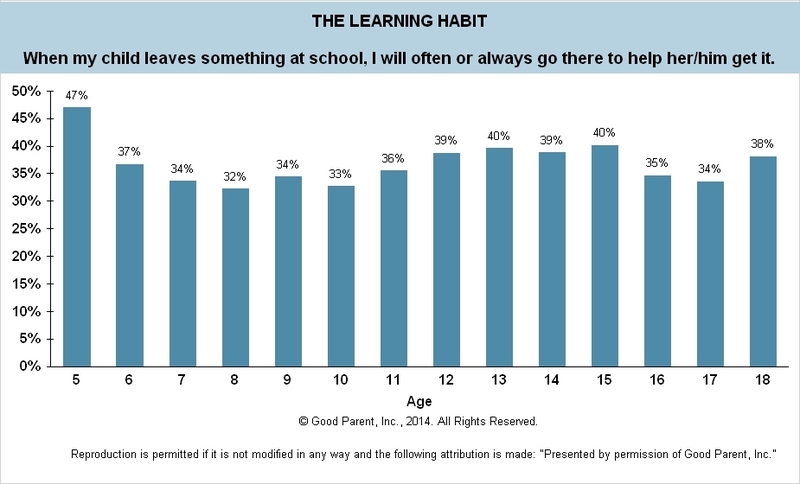 The chart suggests that once a parent starts going to school to retrieve items, the trend persists for the entirety of the child’s school experience. 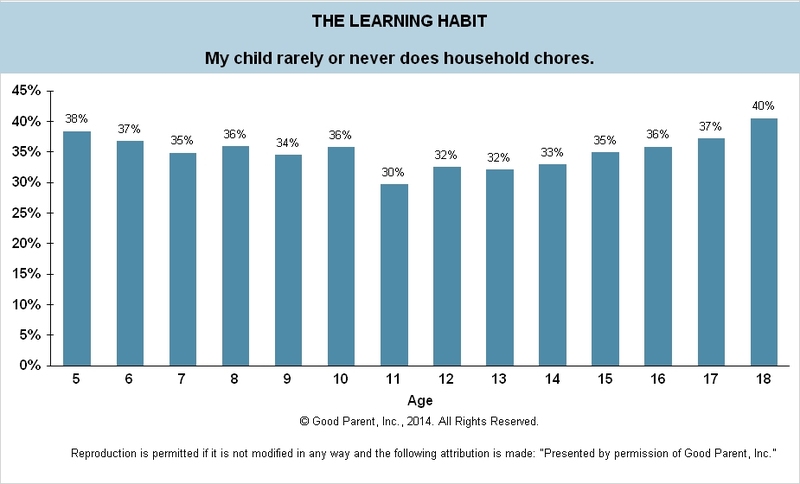 The second and third chart, also show a steady frequency of children lacking management of their own belongings and participation in household chores. We observed a general consistency across ages in which a little over one-third of all children were identified as having low Grit scores. Grit is a critical component to a child’s well being. Children with high Grit scores were found to have increased grades and academic performance as well as decreased emotional problems and focus issues. The good news is that Grit is a non-cognitive trait meaning it can be learned at any point and at any age. Therefore helping children attain more Grit traits and attributes can greatly enhance their chances for success.